Well...I finally got it! I bought my Chanel 2.55 Classic Flap! I am not going to make it a habit of buying expensive pieces but this is a classic item that I have wanted for years and it will last forever. I know that some people would say buying a Chanel bag for $3000 is against the mission of my blog, which is dressing on a budget. But it actually isn't, I have been slowly saving for this bag for 2 years, it was part of my budget to put away a certain amount of money for each paycheck. If I had just splurged on this out of the blue then THAT would be against my blog. The point is, if you want something expensive you need to plan out your money situation, decide when you want to buy it and then figure out how much money you need to save per week/month in order to buy it in that time frame. OR another idea is you can have an "emergency clothes fund" where you save some money in case of an amazing sale or item that is selling out fast. This way you aren't taking money out of your food and living essentials budget. If you remember from the end of last month I had finally saved enough to buy a Chanel but struck out TWICE in the same day. I won't retell the story but you can read it in this post. 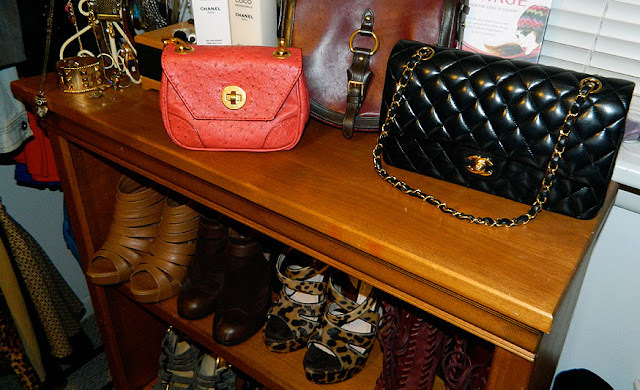 On February 1st I was checking out Madison Avenue Couture, the store that had a Chanel sale on Rue La La, to see if they had any Chanel bags in stock. They showed a bunch on the site but most were already sold and hadn't been deleted from the site yet. 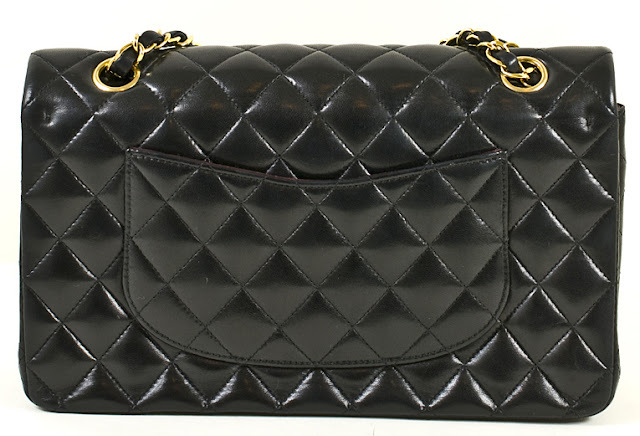 But then I found it, a Chanel 2.55 in black lambskin with gold hardware...exactly what I was looking for! So I ordered it and proceeded to freak out about how much money I had just spent. The next day they called me to tell me they had already sold the purse I bought and hadn't marked it as sold on the site yet, but they had the same exact purse that I bought except it was 4 years newer than mine and subsequently $400 more expensive. They offered that to me and to make up for the mistake they didn't charge the extra $400. Before I accepted I wanted to double check the authenticity of the bag with PurseForum so I asked Madison Avenue Couture for some images of the purse so I could post on the forum. They happily obliged and by the end of the day the girls of the PurseForum confirmed it was authentic! So I emailed them back letting them know I would take the different purse and waited in agony for it to come. It finally arrived on Saturday and I couldn't be happier! Madison Avenue Couture carries many high end designers and they have a 100% authenticity guarantee and make sure everything they sell is authentic. Most of the items are pre-owned but some are brand new as well. I would definitely recommend them to anyone looking for cheaper designer items, they are obviously still expensive but cheaper than buying new, full-priced items. They also have amazing customer service and want to make sure you're happy with your purchase. *I was not paid or asked to write this post about Madison Avenue Couture, I just wanted to share my satisfaction with my readers to let them know about my experience. First of all, he is BEAUTIFUL. Second, that you got a newer, more expensive price for the same amount is awesome! I love it when that happens (well, it happened to me once)... But still, think of your lifetime of bag happiness! This is insane! Such a great purchase! It certainly worthed waiting! So so beautifull! Every womans dream bag! I hope you enjoy it! that's a gorgeous bag!!! i wonder if i can save up for my own chanel!! You got yourself a beauty there!! I think you did some smart budget planning there and I always say I should start a Chanel fund, but haven't gotten around to it. It sure would have come in handy yesterday when I saw a Chanel flap at my favorite consignment shop! I'm so happy you finally took the plunge! That purse is an investment piece and, honestly, a Chanel bag is timeless, so it's a good investment. Wooooooooooooooow! Congrats girl! Definitely a treasure! Congratulations on that lovely, beautiful bag!! I can't wait to buy one some day soon!! OH MY GOSH! Congrats! That is such a huge deal. Saving for such a key item and finally getting it must have been amazing. Congrats again! It's beautiful! What a great investment! It's GORGEOUS! I am so excited for you! Congrats girl! That bag is so yummy! I saw that Gilt Group had a sale on pre-owned Louis Vuitton's today. We have to get these fabulous bags somehow, right? my goodness! 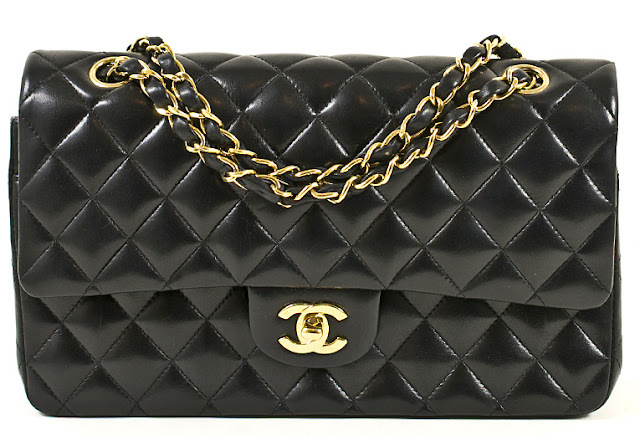 That has to be one of the most gorgeous purses ever made but dam thats a crap ton of money. hahaha loved your new bag! Who DOESN'T name inanimate objects after fantasy characters? Oh, what a HUGE moment! And very exciting for us to be part of!! It's a beauty! And thank you for explaining the savings strategy, so important for folks to realize and not go into debt over fashion! I saved this post to read last because I knew I'd be too giddy about this to coherently read other blogs after. YAYAYAYAYYAYAY. LOVE IT. So excited and happy for you! It looks gorg. Delicious, even. OH my goodness this bag is gorgeous. Bet you are just flushed with love. The bag is certainly classic and you'll have it forever. I'm really impressed by your diligence. 2 years....wow! Way to go and I like the emergency shopping idea! p.s. i got so wrapped up in preparing for my superbowl party i forgot to go to Target :( if that dress you posted was in my size i would've jumped on it. have a good weekend! Congratulations on your Chanel. It's gorgeous! Glad they were accommodating with the price! OMG OMG OMG I would be so excited!!! Hope you have soooo much fun with it! I WANT / NEED / WILL STOLE YOU that bag !!! what a great deal!!!! good for you. 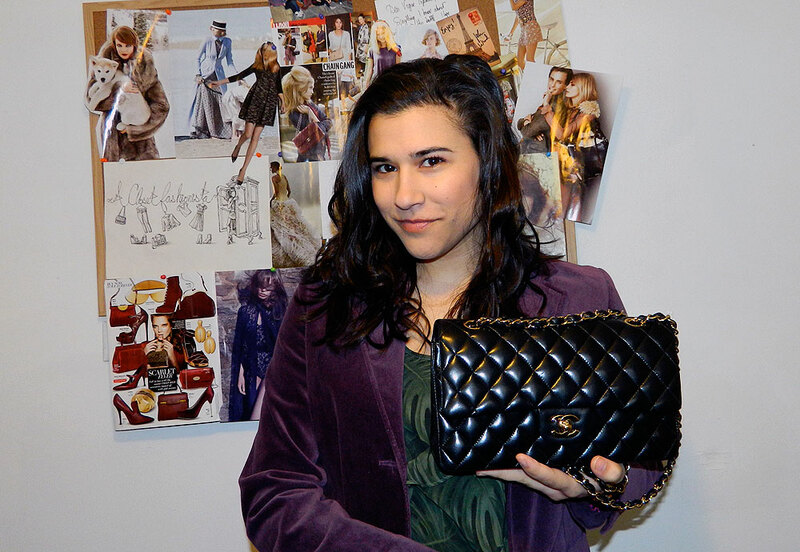 i own the same bag (in calf skin) and it is really versatile...more versatile that i originally thought it would be. i hope you enjoy it! I'm so happy I stumbled across your blog, I love it! That's a good idea saving up for something like that. I really want a Mulberry bag, so maybe I'll do the same! love the bag and thanks for the link! That takes some serious dedication to save up that much money for years. I'm impressed! I'm also curious - do you think you'll be afraid to use it? I know that if I had spent a month's worth of income on a bag, I would be terrified to bring it outside lest it get scratched, stained, or stolen.